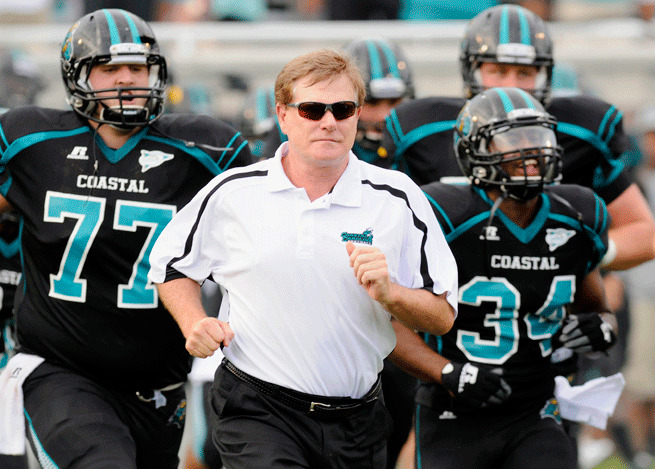 After succeeding in business, Joe Moglia is living his dream and is 15-6 in two years at Coastal Carolina. That meant everything came down to one job: Coastal Carolina, the 9,300-student school located in Conway, S.C., just a few miles inland from Myrtle Beach. (The school was once affiliated with the University of South Carolina, thus its unusual mascot: The Chanticleer was a clever rooster in Chaucer's Canterbury Tales). The fact that there was an opening at the school was a bit of a surprise. David Bennett had been the coach at Coastal since the football program's beginning in 2003 and had a record of 63-39. But earlier in 2011 he'd become better known for his wacky "We need more dogs!" video that went viral. To the president of the university, David DeCenzo, it was just another sign of a program that had gone adrift. He'd had enough. 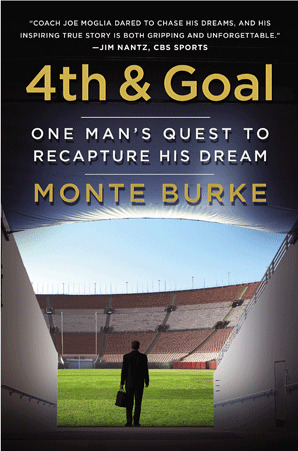 Monte Burke is a staff writer at Forbes and the author of "4th And Goal: One Man's Quest to Recapture His Dream" (Grand Central Publishing), the story of Joe Moglia's return to college coaching. Purchase a copy here.